Natalie was one of 46 women elected to the Massachusetts House of Representatives on November 6, 2018. 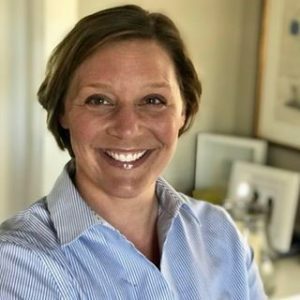 Since moving to Western Massachusetts over a decade ago, Natalie has worked on behalf of the residents of western Massachusetts in various public positions. As a Congressional Aide to Representatives Oliver and McGovern, Natalie assisted individual constituents experiencing difficulties with the federal government. Working alongside communities, businesses and non-profits, she advanced community economic development priorities including broadband expansion, bike paths, roadway and rail projects, energy efficiency expansion and the adoption of renewable energy technology. In 2015, became UMass Amherst Chancellor Kumble Subbaswamy’s first Chief of Staff. In this role, she served as an adviser to the Chancellor, oversaw the day-to-day operations of the Chancellor’s office and coordinated activities that advanced campus priorities with various internal and external stakeholders. Most recently, Natalie served as the Executive Director of the Franklin County Chamber of Commerce located in Greenfield. Natalie lives in Sunderland with her husband, Luke, and her two children, Shane and Danny. In her spare time, she enjoys reading, gardening and starting (but not necessarily finishing) home improvement projects.